The office of Learning Communities, Academic Excellence, Undergraduate Research, National Fellowships, Capstones, and Honors (LAUNCH) at Texas A&M University congratulates Ashley Holt ’19 and Oscar Gonzalez ’20 in being recognized for their outstanding academic achievements by the Barry Goldwater Scholarship and Excellence in Education Foundation. Holt, a biomedical engineering major from Kingwood, Texas, was selected as the 2018 Goldwater Scholarship recipient, and Gonzalez, a chemistry major from San Juan, Texas, has been named a Goldwater Honorable Mention. Goldwater scholarships are awarded to exceptional sophomore or junior undergraduates who intend to pursue a research careers in mathematics, natural sciences, or engineering as the premier undergraduate award of its type in these fields. The Goldwater Foundation gave its first award in 1989 and has bestowed more than $40 million worth of scholarships. Hundreds of scholarships are awarded each academic year to students who have impressive academic qualifications and merit, as the average awardee has a 3.9 GPA. The one- and two-year scholarships cover the cost of tuition, fees, books and room and board up to a maximum of $7,500 per year. Texas A&M has produced 36 Goldwater Scholars since 1991. 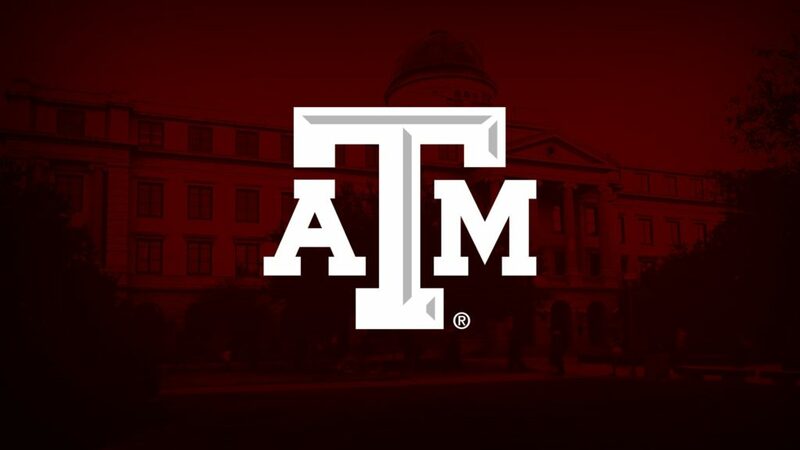 Holt was nominated by Texas A&M as part of a pool of thousands of applicants from colleges and universities nationwide. In 2016, Holt began working with Dr. Ry Young, named Distinguished Professor in March 2018, to discover the mechanism by which a specific virus destroys the outer membrane of its host cell. Holt’s research focused on how a phage, or virus, that infects E. coli releases harmful toxins and destroys bacterial cells during an outbreak. Among many of her other achievements, Holt was selected as a Beckman Scholar and a University Scholar in 2016. She is currently completing her Undergraduate Research Scholars thesis as part of her capstone experience for the University Honors Program. Oscar Gonzalez ‘20, a chemistry major, began working with Dr. Sarbajit Banerjee in 2017 investigating ways to control the dimensions of magnesium nanowires through the development of a coating that inhibits corrosion of the material. These studies are critical for the development of magnesium batteries which have the potential to be more shelf-stable and storage-efficient than current lithium batteries. He hopes to continue his research and complete graduate school so that he may teach his own research students about problems that inhibit further technological advancements. As a result of those strong communication skills, Gonzalez has been recently selected as a 2018-2019 Undergraduate Research Ambassador. Ambassadors work to inspire broader engagement in undergraduate research by educating and serving the Texas A&M community. They Represent LAUNCH at research, recruiting, and outreach events, give presentations to student organizations and meet with administrators, faculty, and prospective students. “I want to share and use everything I have learned with the rest of the world,” said Gonzalez. With an extensive research resume along with co-curricular and community activities, Gonzales personifies the expectations held by the Goldwater Foundation as a nominee. Media contact: Carolina Pereira, 832-764-6868, carolcara@exchange.tamu.edu.